It’s Christmas Time Lovelies! What are your family traditions? The holidays are coming, and we can’t wait to celebrate mine. One of our family traditions that we do every year is decorate a gingerbread house. There are so many ways to decorate them which we love! You can make it as complex or as easy as you want. 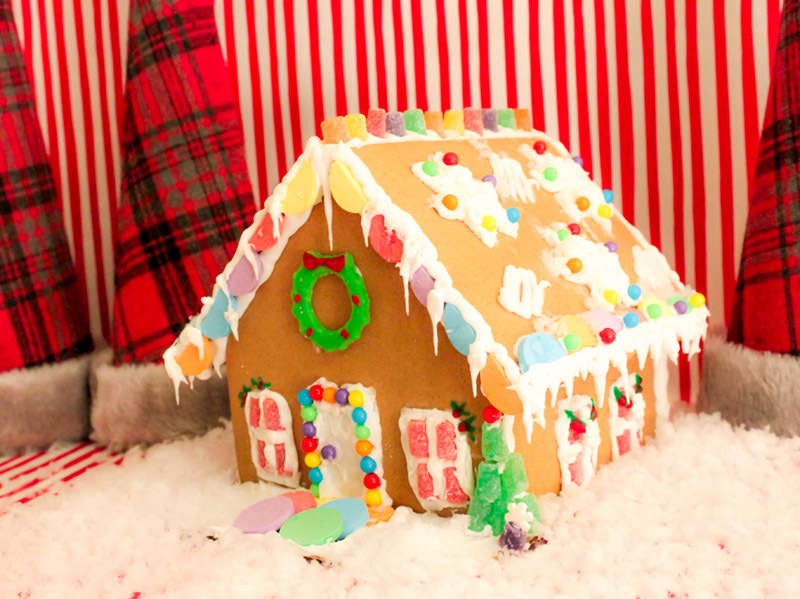 Jo-Ann Fabric and Craft Stores has an exclusive Wilton Gingerbread House Kit that makes putting together and decorating a gingerbread house super easy! I’ll show your the 4 easy steps to put this winter wonderland gingerbread house together! WE also used a Wilton Christmas Sprinkles set, Christmas cookie cutters (a snowflake, and a Christmas wreath) and red & green cookie icing. You can also use other fun things like Wilton candy melts to help you decorate too. Get your icing ready. Cut about ¾” off the tip of the decorating bag. Then add in the icing tip to the inside of the bag and push it through. If you need to, trim the bag around the tip until it fits correctly. Fill the bag with icing and get ready to ice. Assemble the pieces. Start icing the front of the house and then add the sides help support the front while it dries. When that is dried, add in the back piece and let dry. Make sure the ice out bottom, outside and side seams of the house to make it secure. Then add in the roof. 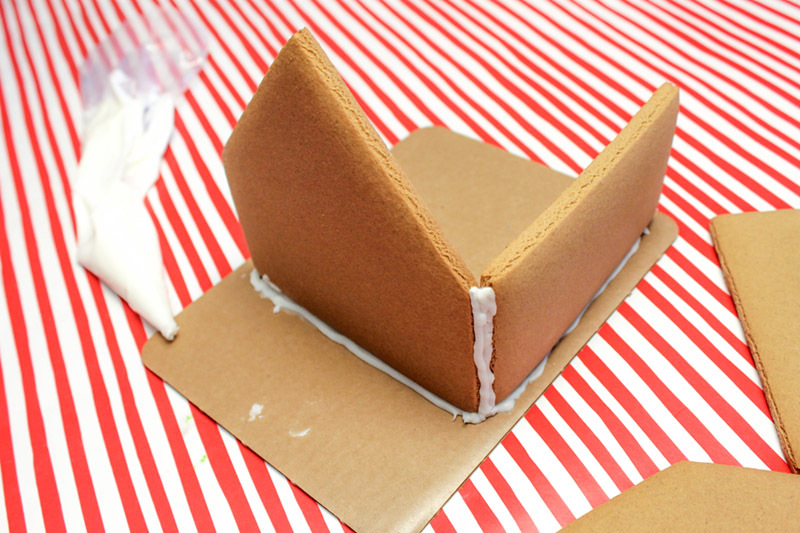 Start by icing one side of the roof, set in place and dry and then add in the other side. Let the whole house dry in for at least an hour before decorating. Now it’s time to decorate! 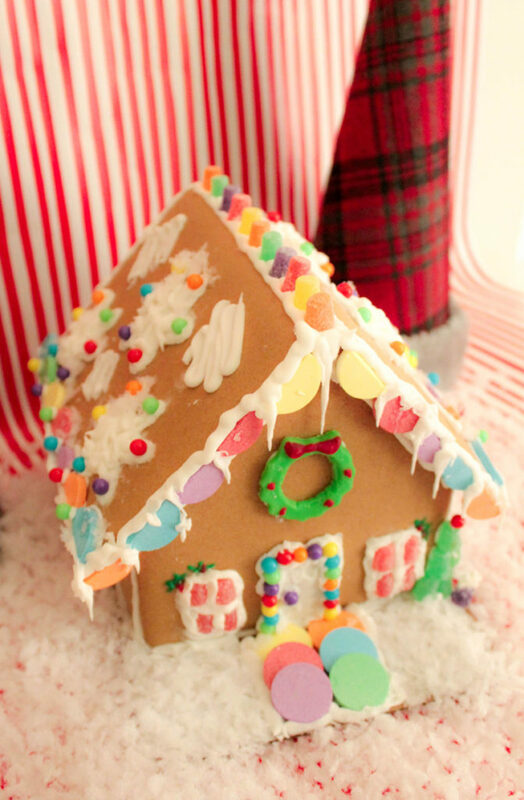 There are so many ways you can decorate your gingerbread house and really it’s totally up to you on how want to decorate. 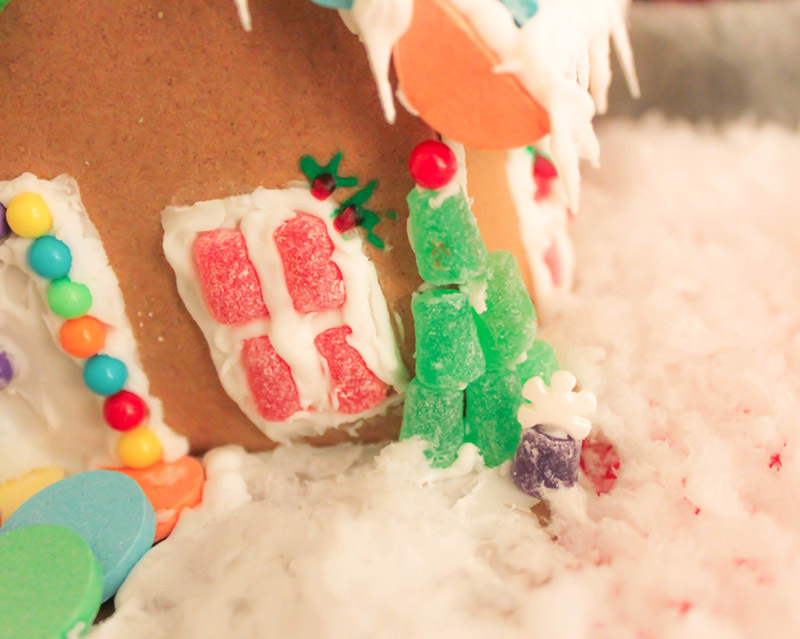 We love a frosty, winter wonderland gingerbread house so we themed up our house with snowflakes and icicles. We used a snowflake cookie cutter to ice big snowflakes on the side of our house. Be sure to use a cooking spray on the cookie cutter before you use the icing so it doesn’t stick. Let the icing dry before removing the cookie cutter. 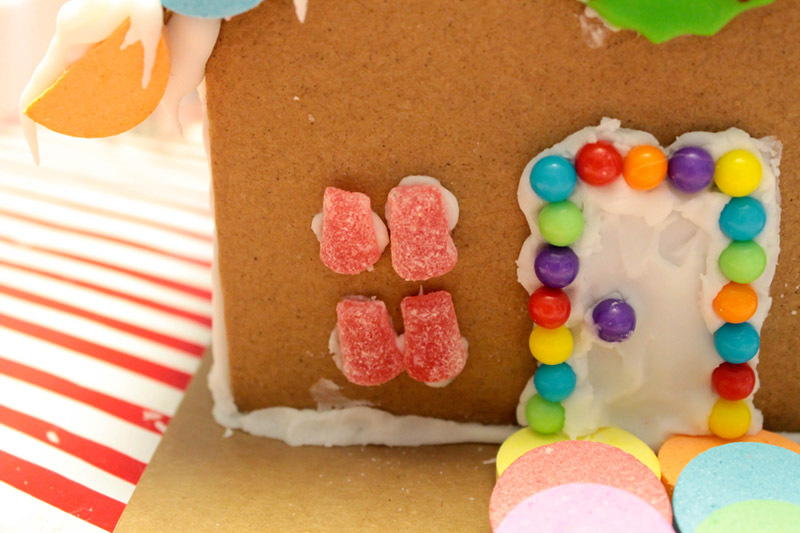 Another fun decorating idea you can do is make the windows from gum drops. 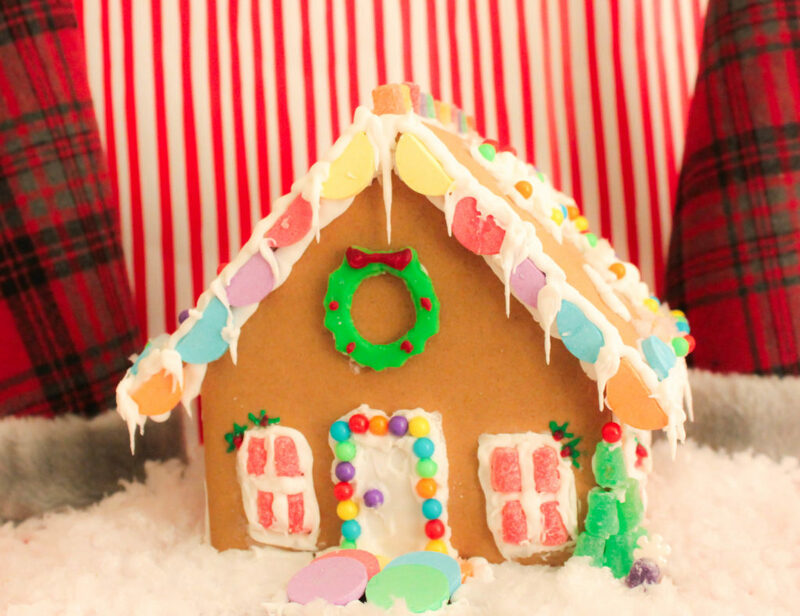 Simply cut the gum drops in half and use 4 pieces to make the panes of the window, then add an icing border around it. You can also add in fun details like gum drop trees and gum drop packages. 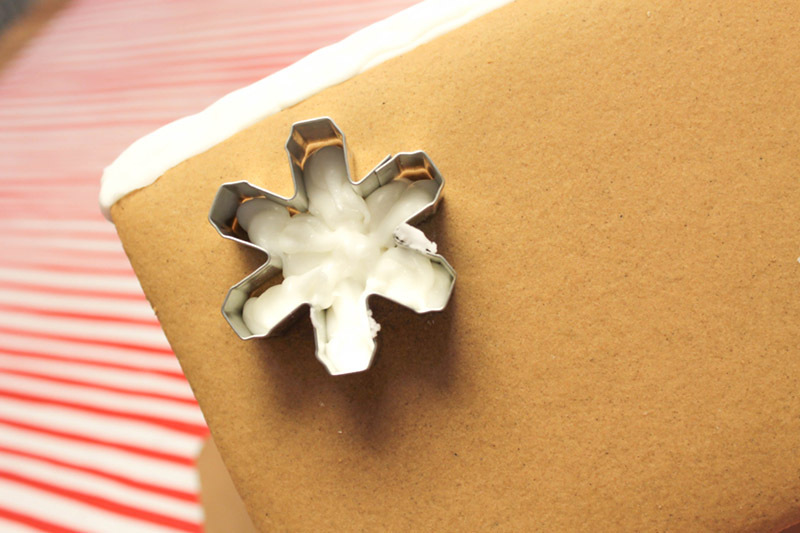 Take the snowflakes from the sprinkle set and add them to the top of the gum drop to make a bow. 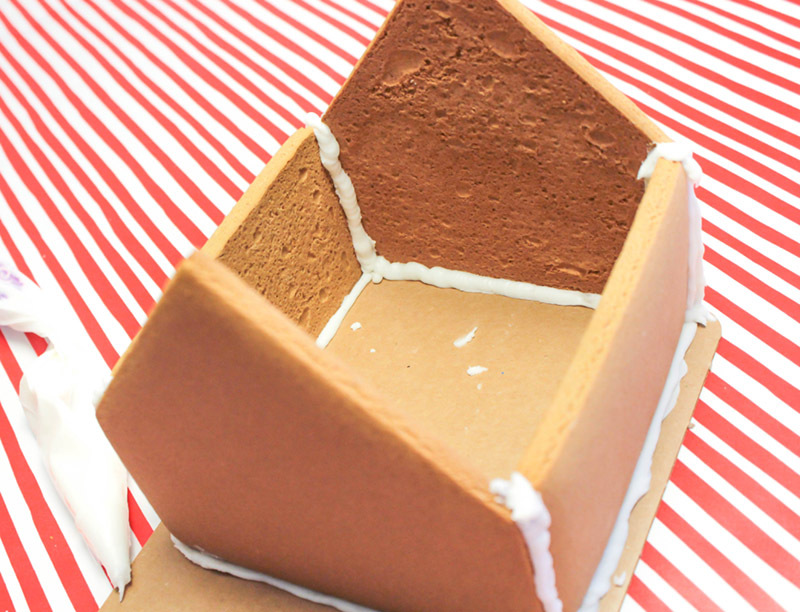 Cut candy wafers in half to add a border to your roof. Finish it off with piping icicles all over the roof to give it that winter feel. Dress up your house with a Christmas wreath too! Use the wreath cookie cutter to cut a wreath from the green fondant in the kit. Roll the green fondant flat and cut the wreath from it. Use a candy wafer to cut the circle in the middle of your wreath. Finish it off with red bow and some berries. 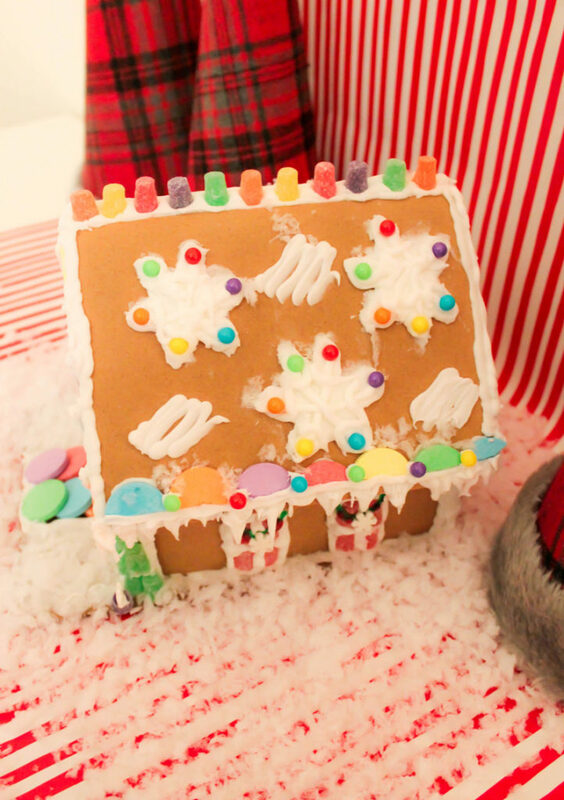 Add in some holly on the windows with the red and green icing and some garland on the side window, finished off with a snowflake sprinkle and you have your gingerbread house complete! Love this little winter wonderland!